Sweden has experienced a #0066cc">dramatic decline in the international ranking of its schools. Swedish 15-year-olds' performance on the Organisation for Economic Co-operation and Development-led #0066cc">Programme for International Student Assessment (PISA) has declined from near the average in 2000 to significantly below average in 2012. No other country included in the PISA study has experienced a steeper decline than Sweden during this period. The country has responded with a range of reforms designed to reverse the negative trend, such as the #0066cc">Swedish Education Act in 2011 which promoted greater knowledge, new curricula and the introduction of teacher certification. #0066cc">Now a new report from the OECD has recommended even more consistent and coherent efforts to address the slide. 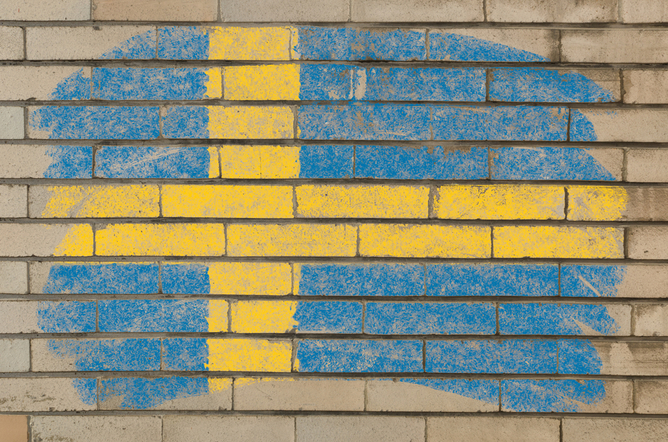 The Swedish school system is comprehensive and designed to include all pupils in mixed ability classes. However, in the early 1990s, Sweden introduced one of the most sweeping school-voucher systems in the world. This allowed parents to choose between comprehensive state schools and independent free schools – known as fristående skolor or friskolor – all financed by tax money. The free schools, especially those #0066cc">operated by companies for profit, expanded rapidly. The share of students who attend free schools #0066cc">increased from 4% in 2003 to 14% in 2012. This has brought the share of students in independently run schools close to the OECD average. There were high hopes that standards would be driven up by competition, but now 20 years later, there is an ongoing debate about whether the free schools have been responsible for the sharp decline in PISA results. Are for-profit schools to blame? Research has shown that the profit motive took precedence over quality in many schools. There are fewer qualified and experienced teachers in the free schools than in the state schools, the student-teacher ratio is higher and they suffer from a serious problem with grade inflation. Research #0066cc">has found that students who entered gymnasium (sixth form) from free schools, on average, went on to get lower grades over the next three years than those who had entered with the same grade from state schools. However, the OECD report states that there is no statistically significant performance difference between students in private and public schools in Sweden #0066cc">after accounting for students’ socio-economic status. It is worth noting that the report does not recommend abolishing free schools but it does recommend that they should collaborate more with state schools, with municipalities playing a role planning, improving and supporting them. Since the majority of schools have remained public, school choice – which allows parents to choose between schools in the state sector – appears to have contributed to the decline in achievement rather than privatisation. In Sweden there is a relatively small variation in performance between schools in the state sector but this variation has increased during 2003-2012. School choice has led to the most resourceful parents flocking to the same schools. Since the decline in PISA test scores is identified both among high and low-income groups, the main finger of blame the OECD seems to be pointing is towards teachers and their training and instruction methods. Since the early 1990s, Sweden’s 28 teacher training colleges have been autonomous and free to design their own methods of education and assessment. This freedom has resulted in training programmes emphasising progressive pedagogical theory at the expense of school-effectiveness research and class room management literature. Student teachers are taught that children should take responsibility for their own learning. What is more, there is a relatively low emphasis on professional development, meaning there is a risk that values learned during teacher training will persist unchallenged. According to the OECD report, this highly decentralised structure has led to a mismatch between initial teacher training and actual areas of demands at school level. International evidence referred to in the OECD report shows that initial teacher education is likely to contribute more to human capital development when there are a relatively small number of teacher training institutions, such as the eight in Finland, that collaborate and form close partnerships with governments and school systems. The report therefore recommends Sweden to review the number and quality of existing providers of teacher education. It suggests that a National Institute for Teacher and School Leader Quality should be established to bring together members of the research community, representatives of major governance organisations and teachers. Their task would be to develop specific guidelines and frameworks for what constitutes high-quality initial training and continuing development of educational practitioners. It will be interesting to watch how the government reacts – if at all – to the calls for reform, and the response of the teacher unions to any changes. The unions will welcome higher salaries for teachers and any effort to increase the status of the teaching profession. However, they will properly oppose any attempts by government to get involved in developing the teacher training curriculum. One of the peculiarities of the Swedish system is that teacher training colleges are left to decide the curriculum freely while teachers in schools enjoy little autonomy over curriculum and assessment. Maybe standards will rise for all pupils if this was changed around so that government has a stronger say in what student teachers learn in colleges. In return, teachers could then be allowed to enjoy higher autonomy in schools so they can compete, at least in a limited way, in designing curriculum and teaching methods to produce more innovation and effective results.